Read the author interview in Poets & Writers or New City. In his tenth novel, The Orchards of Ithaca, celebrated Chicago storyteller Harry Mark Petrakis enhances his vigorous naturalism with humor, charm, and revelation. From the street level vantage point of Orestes Panos, a prosperous restaurateur on the eve of his fiftieth year and the coming millennium, Petrakis personalizes humankind’s epic struggle between the unresolved guilt and sins of our shared past and the potential of a still untainted future. Friend and host to the pantheon of Chicago political and sports celebrities, from Ditka to Daley, Jordan to Kup, Orestes is a respected member of his Halsted Street neighborhood. Unbeknownst to his peers, he privately wars with the consequences of a near-fatal childhood illness and the insecurities foisted upon him by his late, brutal father. Orestes finds security and comfort in his twenty-three-year marriage to the loving Dessie, without knowing that she harbors stark secrets of her own. Oblivious to these unvoiced burdens of their parents are the Panos children: a son forced into a hasty wedlock when he impregnated a mafioso’s daughter, and a teenaged daughter who seeks salvation in designer fashions. Orestes must also endure the barbs of his shrewish mother-in-law, an avid Tom Selleck admirer who openly scorns her son-in-law for lacking the machismo of her screen idol. As Y2K, Oval Office infidelity, the casualties of Columbine, and millennium fever loom over them, the Greek Town community is not without its own disruptions. When his parish priest is accused of child molestation, Orestes becomes the young cleric’s orator and advocate in the court of public opinion. He also must contend with a young, golden-haired temptress who seeks to draw him into her fantasy of a dead poet and his muse. But these crises of faith and fealty pale in the face of the contest of character arising when family tragedy sparks confession in the Panos household, forcing Orestes and Dessie to reveal long-concealed truths that threaten their sacred union. With their reality torn asunder, Orestes and Dessie confront the same choices posed to a conflicted globe: to enter this fresh millennium still imprisoned by the terrors and obsessions of individual pasts or to find the wisdom and compassion to move forward as liberated and deeply loving human beings. Harry Mark Petrakis is the author of twenty-two books, including A Dream of Kings, which was made into a major motion picture. He has held appointments at Ohio University as McGuffy Visiting Lecturer and at San Francisco State University as Kazantzakis Professor in Modern Greek Studies. 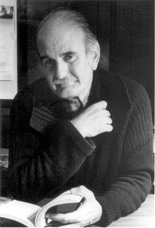 He was twice nominated for the National Book Award in Fiction, won the O. Henry Award, and received awards from Friends of American Writers, Friends of Literature, and the Society of Midland Authors.